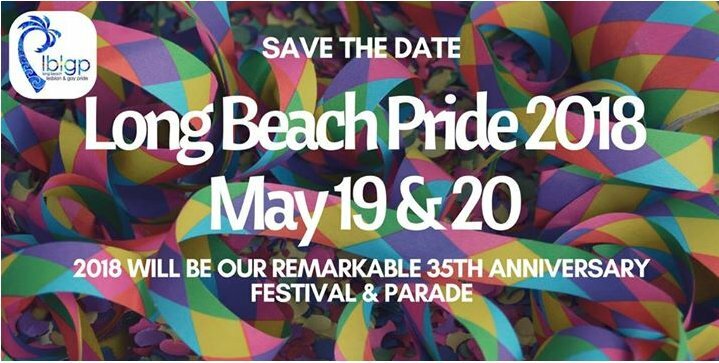 This year marks the 35th anniversary of the Long Beach Pride Festival & Parade. Attracting more than 80,000 participants over the two-day event, it’s not just one of the biggest events in Long Beach, but in Southern California! Before you head out, check our guide for the best places to celebrate. With events as diverse as the LGBTQ+ community, there is something for everyone. Getting to all the places you want to go is easy with our partner, Long Beach Transit. Whether by land or sea, their services are available all weekend long! Find maps, schedules, information about mobile ticketing and more. 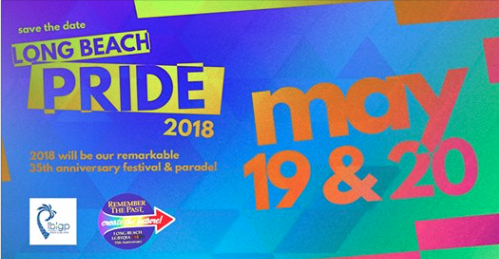 The 2018 Annual Teen Pride Picnic Bixby Park 130 Cherry Ave.
Get ready to celebrate Long Beach Pride 2018! 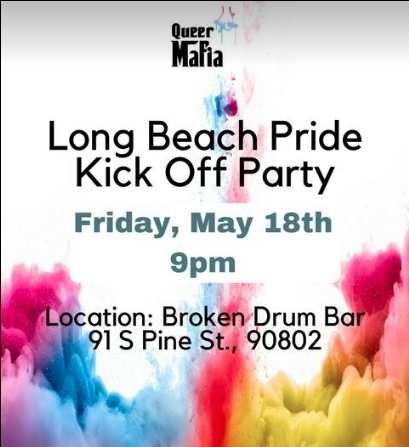 Join The LGBTQ Center of Long Beach’s MYTE (Mentoring Youth Through Empowerment) program for a kick back in Bixby Park. Youth between the ages of 13-18 are welcome to join us for barbecuing; park games; relaxing; and meeting other LGBTQ+ identified youth and allies! 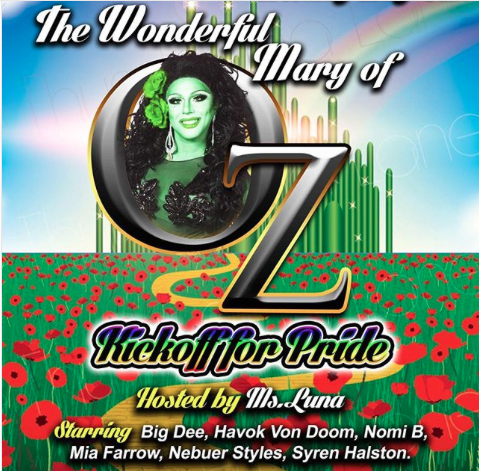 Long Beach Pride Week with The Wonderful Mary of OZ. We will take on a journey with all the gayness you have always wanted. Hosted by Ms. Luna. Starring Big Dee, Havok Von Doom, Nomi B, Mia Farrow, Nebuer Styles and Syren Halston. No cover; Drink specials all night. 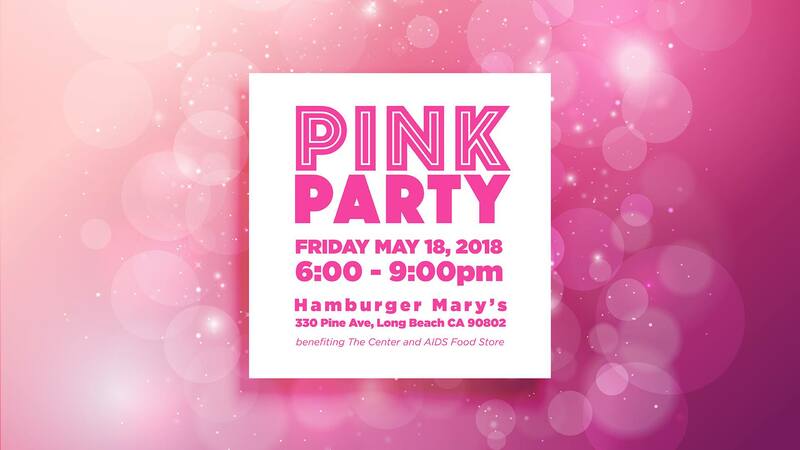 The LGBTQ Center of Long Beach, AIDS Food Store, and Hamburger Mary’s are proud to announce the return of the Pink Party! 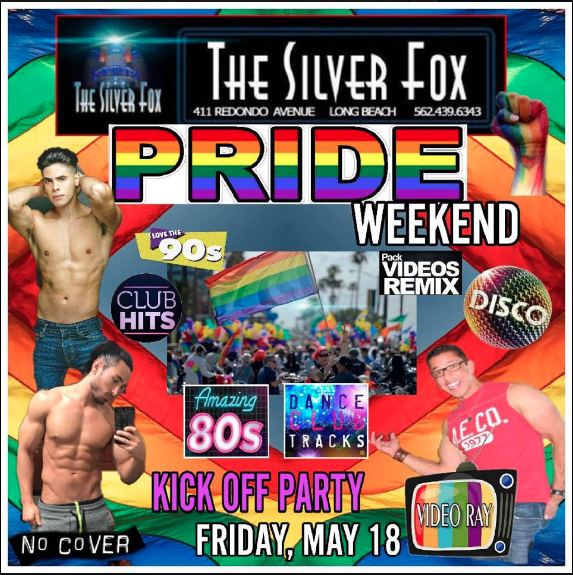 Taking place Friday, May 18 at Hamburger Mary’s beautiful downtown club, this is Long Beach Pride weekend’s signature kickoff event. The highly anticipated Pink Party experience includes an elevated evening of high energy dance, world-renowned drag performances, signature pink cocktails, prizes, and special guests. 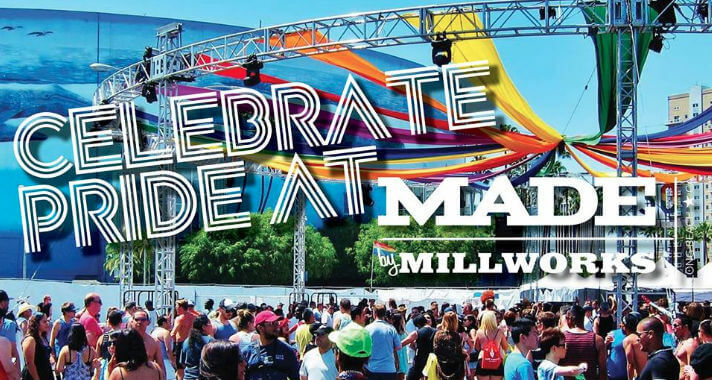 Featuring beats from renowned DJ Smuckers , the DREAMGIRLS Revue with all-star Drag Race performers, and specialty Pink Party cocktails, this is the event to see and be seen at Pride weekend. 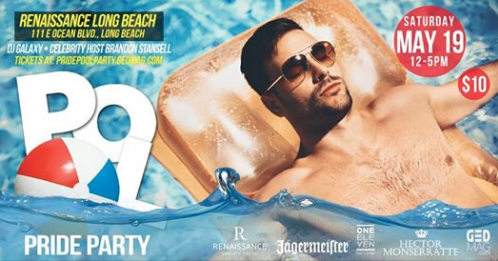 Join GED Magazine on Ocean Blvd at SIP Lounge at the Renaissance Hotel for the 3rd Annual KICKOFF COCKTAILS celebrating the kickoff to Long Beach Pride Weekend! 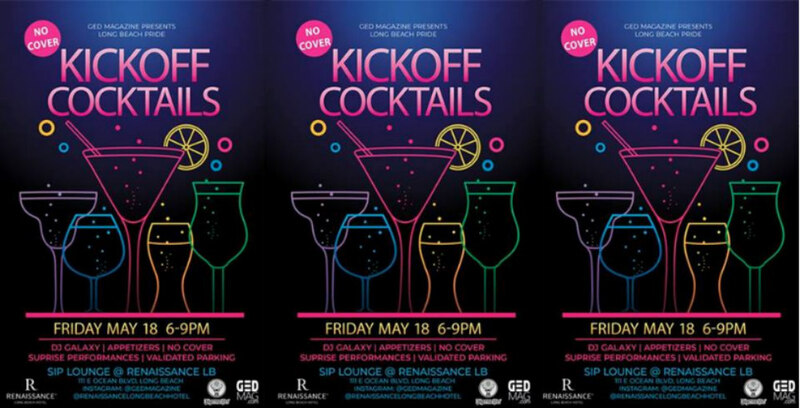 NO COVER, Complimentary Appetizers, Surprise Performances, Drink Specials, DJ Galaxy, Give-a-ways and more! 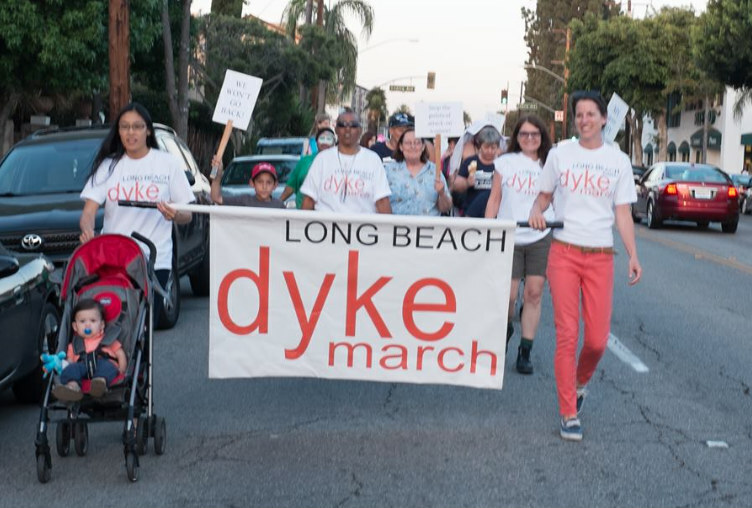 6th Annual Long Beach Dyke March and Rally Bixby Park 130 Cherry Ave.
Long Beach Dyke March is an Annual Rally, March and After Party that empowers all women in the LGBT community and their supporters. 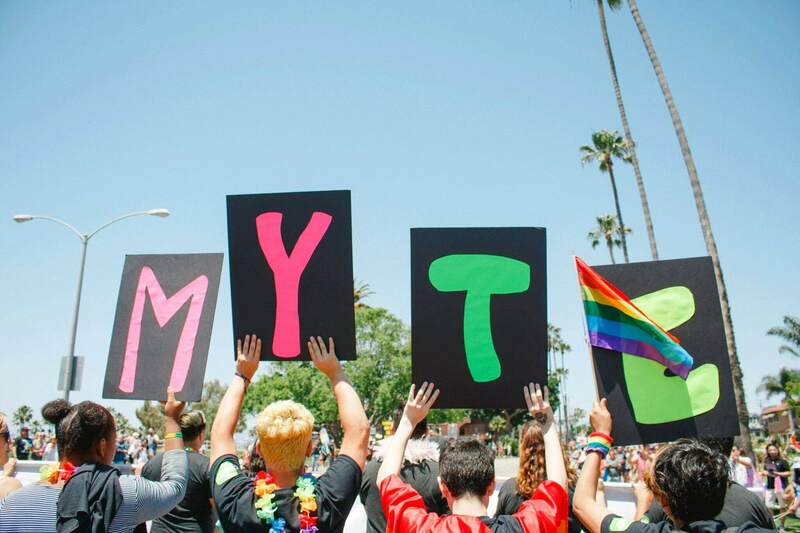 The goal of the Dyke March is to increase lesbian visibility and support the rights of all women regardless of labels, including bisexual and transgender women. Disparities in health care, equal pay, LGBT rights, domestic violence and hiring opportunities are some of the problems that are still real for women. This is not a parade but an exercise in civil rights to peacefully assemble. Two big rooms of music, parking lot party and 600+ guys socializing and dancing all night! Kick off Long Beach Pride 35th anniversary Festival and Parade with an event full of entertainment, amazing people, food and drinks! No Cover and the cocktails that made The Silver Fox famous! NO ELIMINATION FORMAT! You keep playing whether you win or lose! Plan to play 3-4 matches! Snacks and lunch provided. Registration required. Entry fee $75 per player. 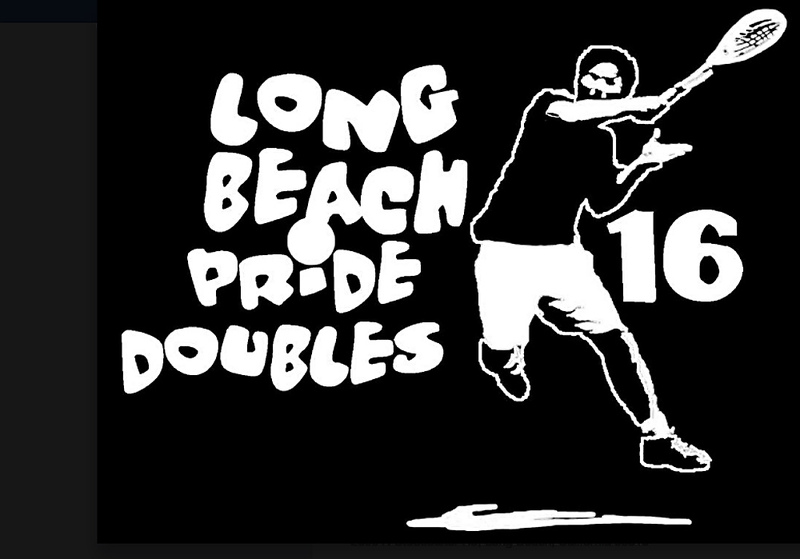 The Long Beach Pride Festival, now attracts over 80,000 participants over the 2-day event. 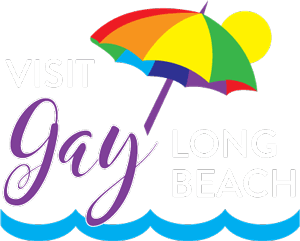 The Long Beach Pride Festival is inclusive and strives to promote an environment that is free from prejudice and bias. 2 levels, 5 bars; large patio open. DJ Addiction. Party on the new patio! DJ Honeymee will be spinning fun upbeat dance vibes from 4pm to 7pm. 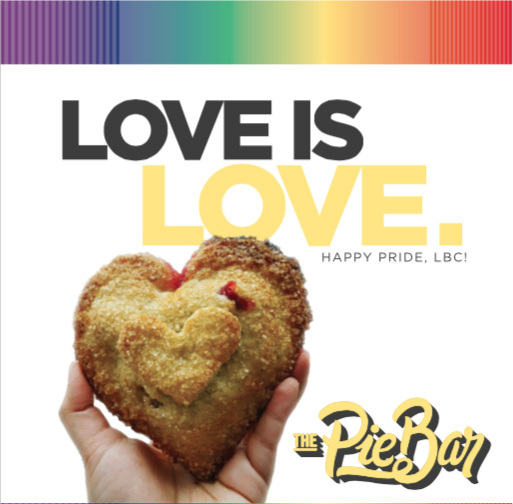 Enjoy specials on Pie Shots, Rainbow Mimosa flights and Cherry Nutella Heart Hand Pies by The Pie Bar and beer and chocolate truffle specials from Romeo Chocolates. Jointly hosted by The Pie Bar & Romeo Chocolates Drink & Dessert. “Overboard LBC” hosts a number of different kinds of people, all of whom will be jamming out to the live DJs blasting all of the latest hits! And if the eye-candy on the floor isn’t doing it for you, just turn your attention to the hunks that will be working the bar. 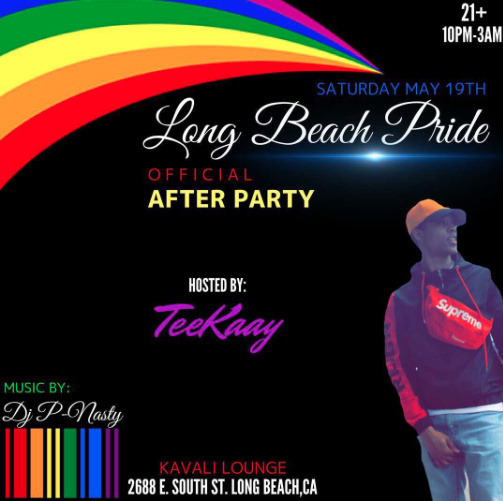 As you should know by now, Overboard LBC is one of the most popular nightlife destinations during Long Beach Pride weekend, and has reached that status by booking top quality entertainment that’s consistent and relevant to their crowd. This year’s crew is a perfect example of a lineup that will pack the house at Overboard LBC. Long Beach Pride Run Ocean Running Path: Ocean Blvd. and Junipero Ave. Ocean Blvd. and Junipero Ave.
20may8:00 am9:30 amLong Beach Pride RunOcean Running Path: Ocean Blvd. and Junipero Ave. The Shoreline Frontrunners of Long Beach are the LGBTQ running club of Long Beach and part of the International Frontrunners. 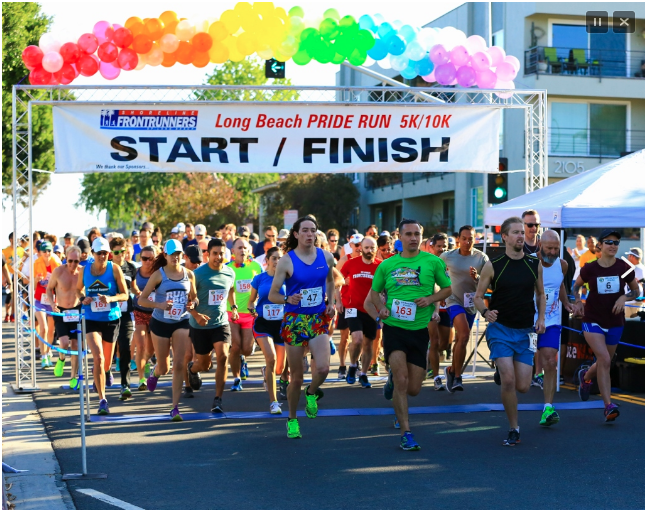 They host the 26th annual Long Beach Pride Run along the scenic beach path. This is the club’s major fundraiser and all net proceeds are donated to local charities. (The 2017 Pride Run proceeds were donated to Project CARE, The Center in Long Beach, and The Aids Food Store.) 5k and 10k Start Time is 8 a.m. Advance registration is required. 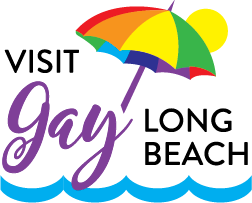 If you are planning on participating in the Long Beach Pride Parade you will have more than enough time to join your group in the lineup or find your friends in the stands. If you want to watch the parade, the race start/finish area has been reserved for runners as a viewing area. Ocean Running Path: Ocean Blvd. and Junipero Ave. Ocean Blvd. and Junipero Ave.
Come join Lola’s on 4th Street for the first annual “For the Pride in You” brunch celebrating Long Beach Gay PRIDE weekend. We’ll get you to the parade on time! Proceeds from this event will go to the non-profit Artful Thinking benefiting The AIDS Thrift Store and The AIDS Food Store. 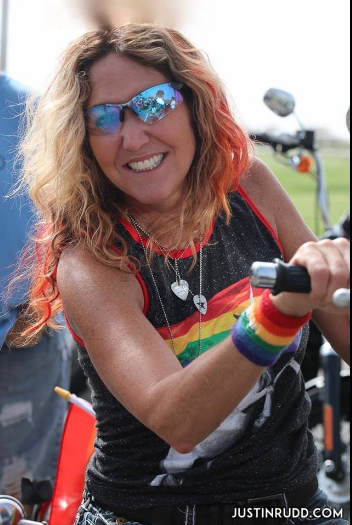 Long Beach Pride Dykes on Bikes Parade Ride! Bixby Park 130 Cherry Ave. 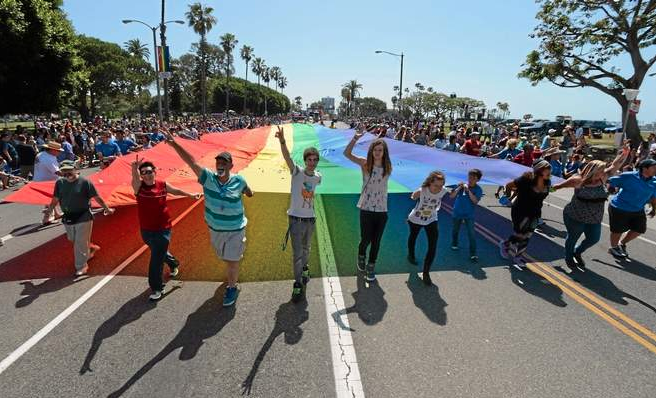 Calling all riders to ride in the Long Beach Pride Parade. Just meet at the parade route on Ocean Blvd. Ride to Shenanigan’s next to the festival grounds for the Pride Party to follow: 2pm-6pm! NO ELIMINATION FORMAT! You keep playing whether you win or lose! Plan to play 3-4 matches! Snacks and lunch provided. Registration required. Entry fee $75 per player. Saturday night event with trophies, photos, shirt and/or towel, bag tag and more. Banquet will follow tournament: 7 to 10 pm at Star of Siam restaurant. March with The LGBTQ Center of Long Beach! 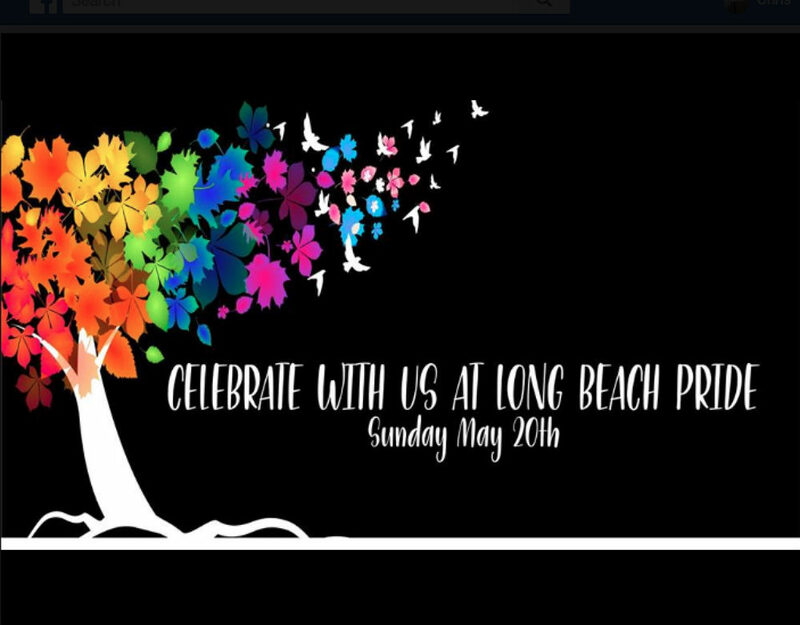 Bixby Park 130 Cherry Ave.
March with The LGBTQ Center of Long Beach and show your spirit and support as they dance through the heart of Downtown Long Beach. Everyone is welcome! This year we come together to respect our pioneering LGBTQ leaders, friends, and family members with our theme: “Wings to show you what you can become. Roots to remind you where you’re from.” We will provide shirts to the first 100 participants as well as light snack and drinks. Participants can meet us at our starting location along the parade route which starts at Ocean Blvd. This year’s entry number will be announced soon! Look for the big double-decker red bus! 2018 Long Beach Lesbian & Gay Pride Parade Bixby Park 130 Cherry Ave. Please join in to celebrate the 35th anniversary of Pride Festival and Parade. The parade hot spot kicks off at 9:30 a.m. at Bixby Park, located on Ocean Blvd at Cherry Ave. The location provides plenty of shade and a community gathering spot for anyone watching the parade. Also, free seating is provided on the bleachers. Parade Step off is Ocean Blvd. and Lindero Street. 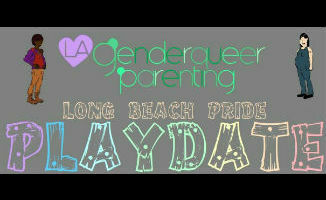 Long Beach Pride Playdate Bixby Park 130 Cherry Ave.
Patio BBQ and beer bust! DJ Jah Lion. The Wild Chive is throwing a Pride party! Vegan brunch starts at 9am. Then return at 1pm for music and dancing. Event features full bar, photo booth, and guest DJs; DJ Soozee (aka chef Soozee), DJ Slow Like Whoa and DJ Desiree. Hosted by Trans-Lucent a T-Girl TS CD Transgender Transsexual Cross Dresser. All are welcome and all dress attire is invited. Long Beach’s only three-story nightclub with karaoke, billiards on the main level and dance go-gos and DJ on the top level. In the bottom level, there’s a soiree and booking makeup/hair appointments for those interested in dressing and needing touch ups. 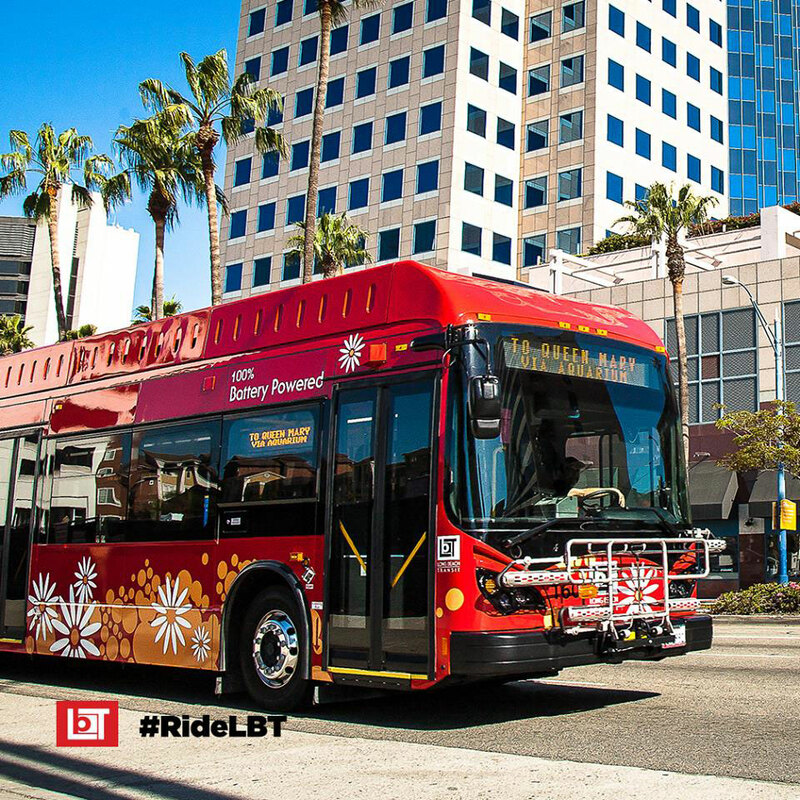 Ride Long Beach Transit to Pride! Use the interactive map below and select “Transit” as your mode of transportation. MARCH WITH THE LGBTQ CENTER OF LONG BEACH! LONG BEACH PRIDE DYKES ON BIKES PARADE RIDE!